Your Nexus 7 may be a tablet, but it can also be used as a phone, thanks to the continued upswing of VoIP applications, which send voice and media messages over the Internet—not over a cellular network. There are many VoIP apps on Google Play that let you make free phone calls and send unlimited texts, but most of them only work on smartphones. Fortunately, there are a few that will work on our Nexus 7 tablets, and in this softModder guide, I'll show you how to use my favorite, textPlus. 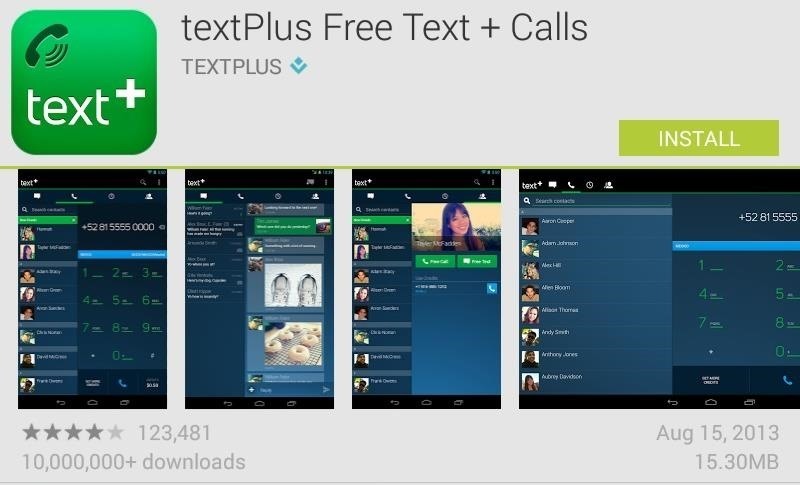 First, go ahead and install textPlus Free Text + Calls on your Nexus 7 from the Google Play Store. This version is exactly the same as the textPlus Gold version, which costs $1.99, except that there are ads in the app. If you absolutely despise ads, the Gold version might suit you better. Now, it's completely free to use textPlus for phone calls and text messages—even internationally—but only if you're communicating with someone else who has the textPlus app. 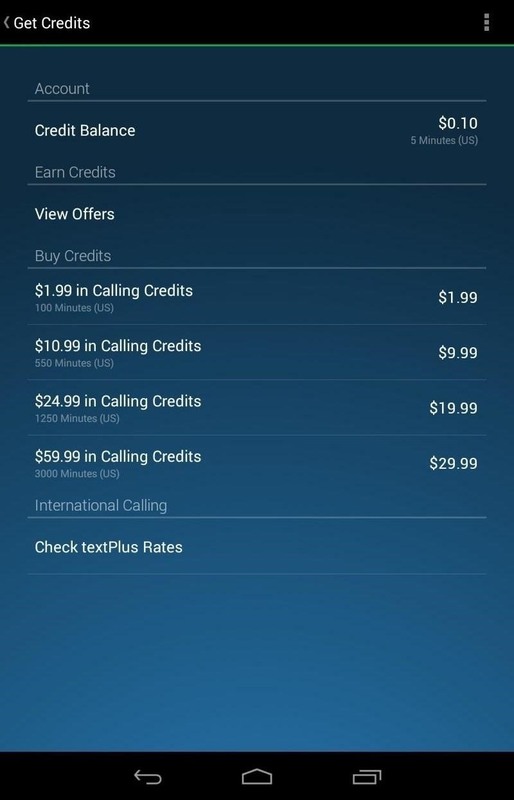 If you try to call or text someone who doesn't have textPlus installed, or not specifically using their textPlus phone number or username, it will cost some money (via an in-app purchase), but you will initially get 5 minutes ($0.10) in free credits to start you off with. 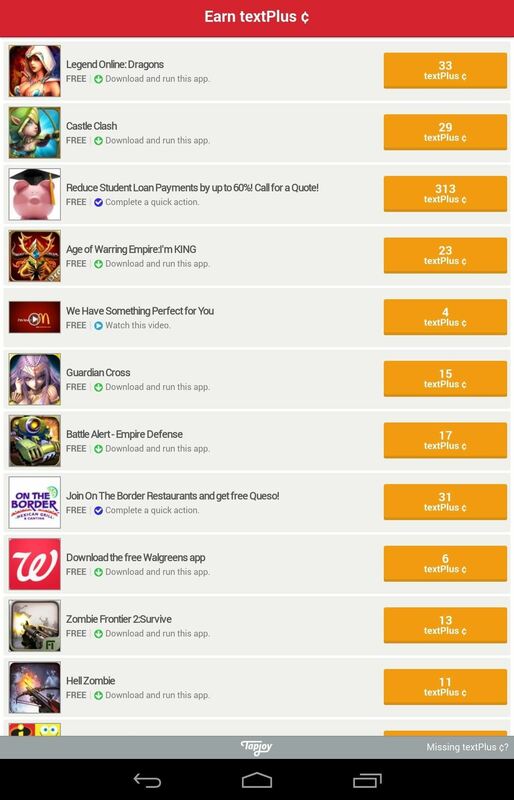 There are also offers you can compete to earn credits, but more on that later. When you first open the application, you'll either need to login or sign up for a textPlus account. To sign up, you'll need to either enter your phone number or email address, so that other people can find you on textPlus. If you don't have a phone number, and don't want to use your email address for some reason, you can also just create a username. However, if you only create a username, you will not be able to reset the password on your account, should you ever lose it. If you chose an email to sign up with, you'll be sent a verification email to complete the signup process, where you'll be asked to add your name, date of birth, password, etc. During your sign up process, you'll be asked if you want to allow textPlus to find other textPlus users in your address book. On the Nexus 7, it will just search your People app for contacts to add. To find more friends who are currently using textPlus, you can type in their email or phone number when you start a new message, and if they're a textPlus user, you'll see a green "t" icon next to their picture or number. Otherwise, it will show you the call rate. 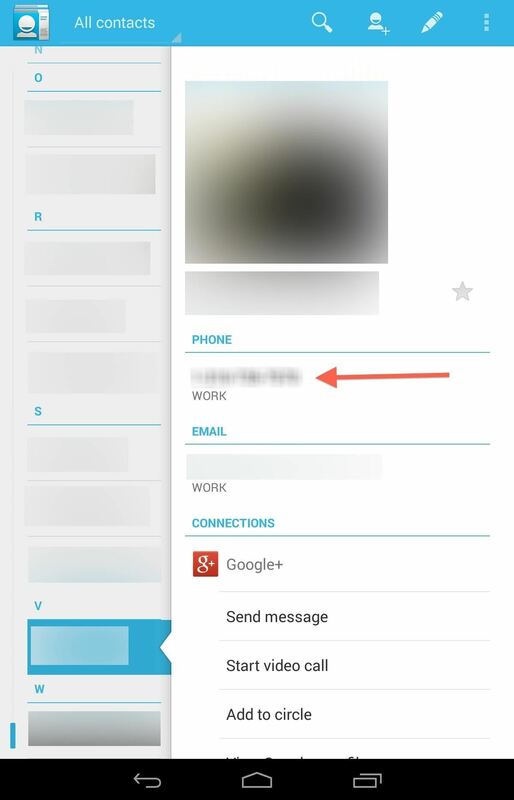 To make it easier for your friends to find you, you can add another email address or phone number by going to Settings -> Contact Info and doing so. 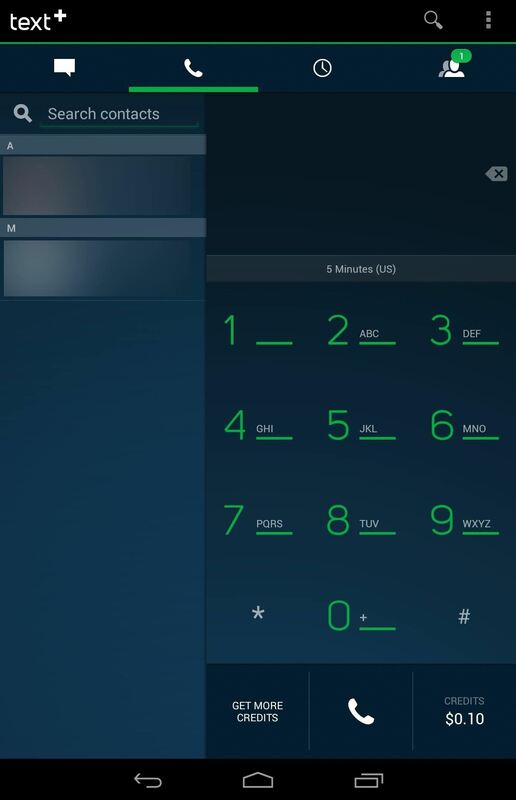 There is also a built-in function to quickly send your phone number via text message to anybody. Just go to Menu -> Share textPlus and tap Share Your Number. 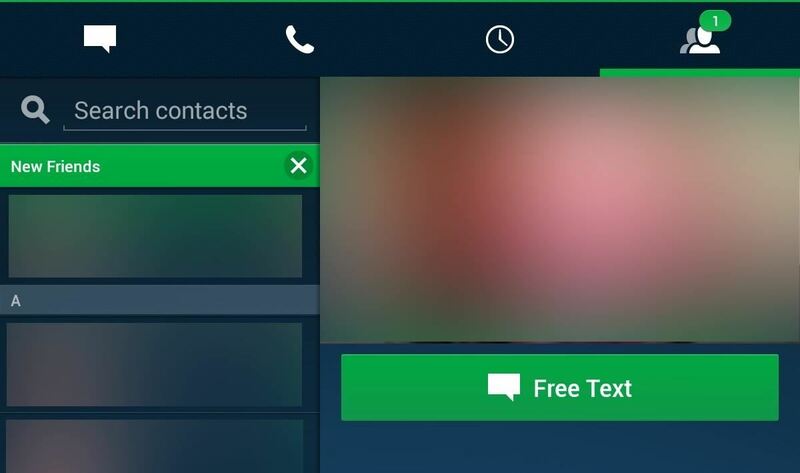 It will ask you who you want to send your number to; just add them and hit OK.
Now that you have some friends to contact, you can start sending texts and making phone calls. To make a text message, make sure you're in the Inbox tab and hit the comments box icon with the plus sign at the top right of the screen. Then fill in the To section, compose your message, and send. Alternatively, you can go to the Contacts tab, select the contact you want to message on the left, then hit Free Text to start composing. To make phone calls, just go to the Phone tab and select on of your contacts on the left, or type in the phone number manually. You can also call directly from the People app on your Nexus 7 by tapping on the phone number on the person's contact card. Since you're Nexus 7 isn't a phone, it will automatically open up something that will be able use it, i.e. textPlus. Now, anyone can call you from textPlus for free, but if they are calling your textPlus number from outside of textPlus, you will get charged for the call using your credits. To prevent this from happening, you can go to the Settings and disable Incoming Calls. 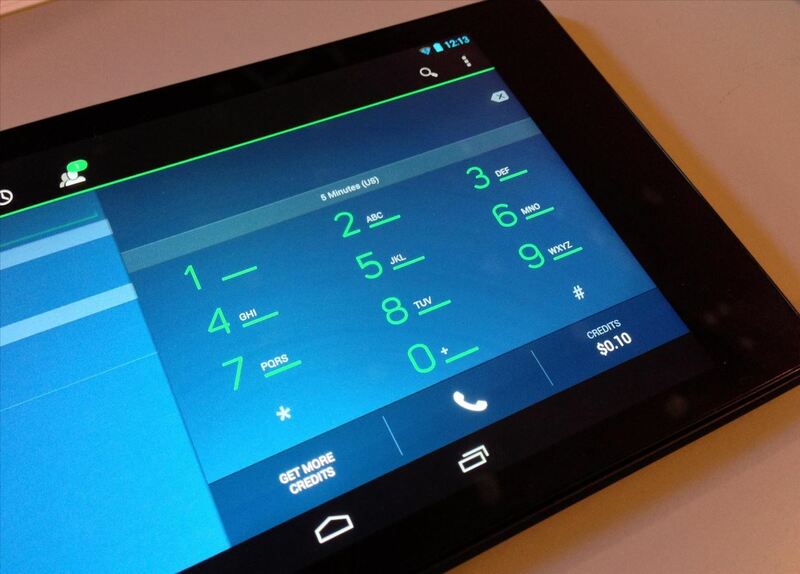 However, this will disable all incoming calls, not just ones originating from outside of textPlus. There are three ways of being called on receiving texts with textPlus. 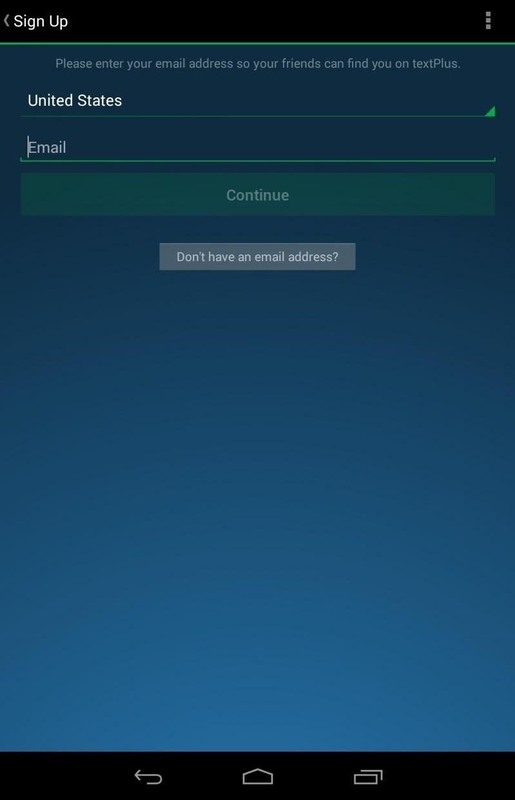 Having someone call or text you via your connected email address directly using the textPlus app. 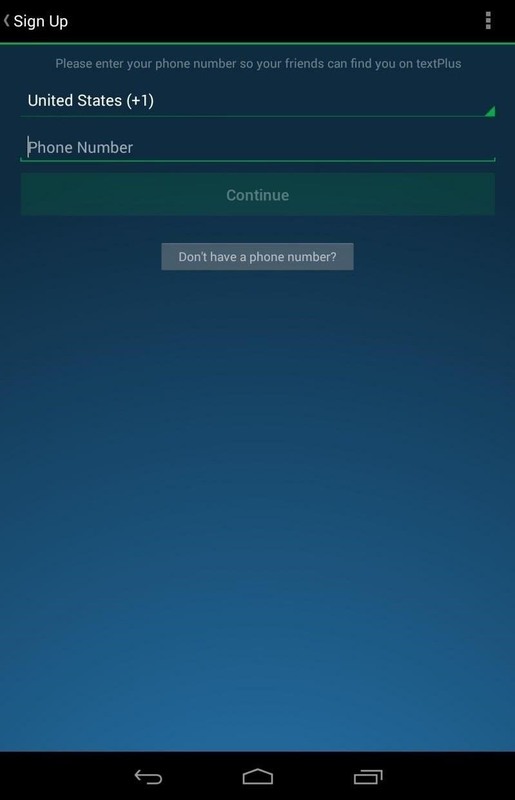 Having someone call or text you via your connected phone number via the textPlus app. Having someone call or text you via your assigned textPlus number. When you first setup your textPlus account, you're automatically assigned a textPlus phone number. You can find your textPlus phone number by going to Settings and Contact Info. If you want to change your textPlus number, you can do so by clicking on your textPlus number from the Contact Info page. However, you can only change your number once. As mentioned before, you get 5 minutes of free call time when calling non-textPlus users. You can purchase minutes in the Get Credits section in the menu. Another way of getting credit is by earning them. This can be accomplished by watching ad videos, downloading applications, clicking on links, and signing up for things that may potentially spam your email account. If you want a totally free experience, just disable incoming calls and never make a call to a non-textPlus user. If you want to call someone for free who isn't on textPlus, tell them to join! The rest is pretty self-explanatory, and you'll catch on in no time. If you have any questions on using textPlus, let me know in the comments below and I'll see if I can help you out. Wouldn't it be easier - and in fact cheaper (since you can call landline and cell numbers etc. without cost) to use a combination of Google Voice and Groove IP Lite? I use that on my samsung galaxy 3, and have it configured to be my primary phone when I make calls on wifi. Works a treat, no charges, voice quality is good, and the ads are unobtrusive. Groove IP doesn't use google voice anymore but assigns its own numbers now. That said I installed Groove IP lite on my LG Gpad 10 and it does make and recieve calls BUT your cellular carrier has to allow IP based calls to go across their towers. As of this post Verizon does not. This would serve as a good back up if your cell phone failed AND if you can find free WiFi. Groove IP is definitely a possibility. However, I have found that there can be problems with the calls. Sometimes, there is a huge delay which makes calls unusable. Occasionally, I have noticed that the sound may become "robotic" in nature. 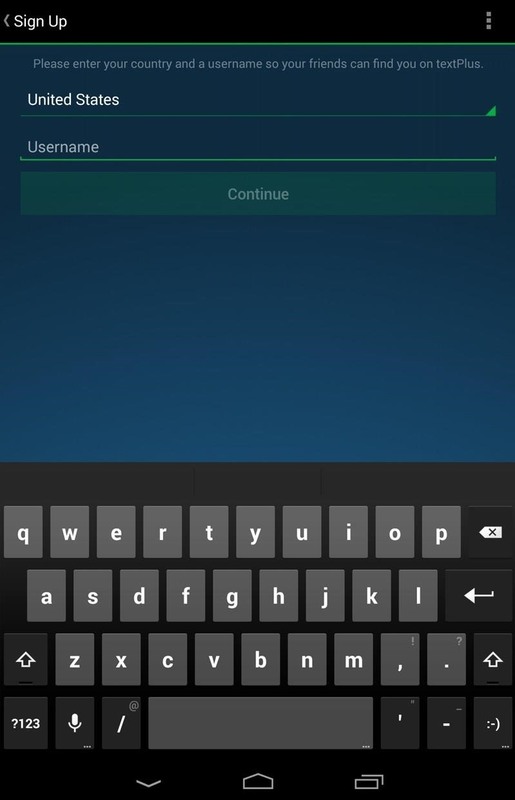 While it is a perfectly fine solution, I have found textPlus to work better than Groove IP. Additionally, Google Voice is only available in the United States. That makes sense - though I haven't had those problems with the service myself. I guess I'd suggest people give it a try anyways, as the cost (free) may outweigh the occasional performance issues; particularly if this is for personal rather than business use. I cannot sign i as a new user my number is not accepted why? I'm not quite sure what you are asking? Maybe try registering with an email address instead of your phone number. Set my friend up with Text+ on her Nexus and have tried repeatedly to send her a picture via my text to her text+ and it never gets there. Is there something in settings I need to do? She doesn't have a cell phone only this new little toy of hers. how to contact numbers that are not in Canada or the USA....I am in Singapore want to contact Singapore numbers..